G. Paul Hess is chief product officer for SnapAV, a leading product and service provider for professional smart-home installers. Call it a personal geek thing, or a professional endeavor – he needs to evaluate these products for possible integration with SnapAV – but Hess has a house full of DIY home-automation and networking gear, including Insteon, Ring, MyQ, Rachio, Nest thermostats, Nest Protect, Nest cameras, Wemo, Philips Hue, Cujo, Circle, and the list goes on. Of course, Hess also has a ton of SnapAV gear, as well as home-automation systems from Control4 and URC. He uses SnapAV’s OvrC cloud-based remote-management service to “tame all of these devices and keep them under control,” he says. Hess agreed to share his experiences with his newest device – Amazon Echo Show – as well as other smart things in his home. In general, users have panned the Show’s poor-quality video display, but even with a better screen, is there much use for the feature? The main problem with the display, he says, is that the Show lacks parental controls and the ability to lock out users by voice signature or other means. Hess finds some consolation in the fact that the Amazon Fire tablet, at least, has a lock-out feature. For these reasons, he moved the Show to his office and brought the Echo back to Hess Central. So how about that forward-facing camera on the Show? Video, however, is a different story. Cameras built into voice assistants feel “a bit unnerving” to Hess. The new Drop In feature lets users open up video chat with their close contacts – the contacts have to enable the feature – and then they can surreptitiously look and listen in, potentially unbeknownst to the other party. Google defends this feature, saying it’s especially practical for parents looking in on their kids at home, or checking on their older parents in some remote location. Everyone else is welcome to disable the feature. 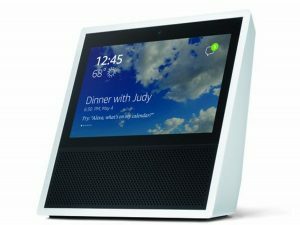 Before the calling and “Drop In” features hit the Echo Show, Amazon deployed it to Echo and Dot. Users can call rooms in the house, as in an intercom system, or other households who enable the feature for their contacts. Video surveillance is a big miss for the Show, in Hess’s opinion. “Only cameras with cloud-based services can display on the screen,” he says “so that rules out most professional-grade cameras” (unless you have IC Realtime with ICMyCloud subscriptions for each camera). For his part, Hess prefers native apps to scroll through multiple cameras, rather than having to call them out to Alexa, one camera at a time. In particular, he says, “Ring’s video doorbell integration is pitifully weak.” He knows this from experience, but if you don’t believe him, check the Alexa Skills Store – 57% of users gave one-star reviews to the Ring Skill for Echo Show. There are other glitches to work out in the camera department. Hess often plays Spotify through the Show – it displays cover art – but if he wants to see video from the Nest Cam, the music pauses. “So there are a lot of nuances for the Alexa teams to work out,” he says. “I am a big fan of what the Alexa teams are doing and we continue to explore ways to integrate our products in meaningful, useful ways for end users,” Hess concludes. “Their pace at launching features is amazing. But Amazon better watch out because “Google is coming on strong,” says Hess, who points to Google’s ability to distinguish between users based on their voice signatures. As a bonus, Google’s voice assistant certainly wins in the “search” department, and it handles complicated, multi-part communications with aplomb. Hess admits to being a Google fanboy, loving the one-stop shop for Gmail, calendars, contacts, maps and other Google services, all of which connect seamlessly with his Pixel phone and Android Watch. 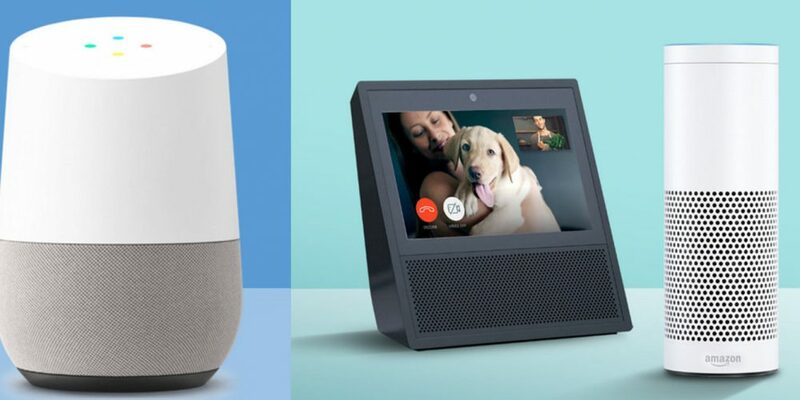 SnapAV chief product officer G. Paul Hess thinks Amazon Echo Show is handy, but a little glitchy at launch; Google Home has superior speech recognition and better responses.